Group TOMORROW X TOGETHER’s debut date has been confirmed to be March 4th. On February 7th, Big Hit Entertainment made an official announcement through its social media accounts saying “TOMORROW X TOGETHER’s debut album ‘The Dream Chapter: STAR’ will be released on March 4th, and the group’s debut stage will be Mnet’s ‘Debut Celebration Show'”. Big Hit has explained that the group name ‘TOMORROW X TOGETHER’ means that different people with the same dream have gathered to create another “tomorrow together”. 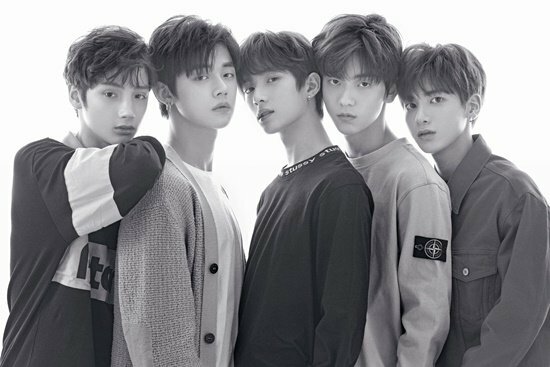 On March 5th, after Mnet’s exclusive debut celebration show, TXT will have a debut showcase and meet their fans at the Seoul Gwangjin-ku Yes 24 Live Hall. Since January 11th, Big Hit has been releasing introduction films and photos of the five members, who are Soobin, Hueningkai, Beomkyu, Yeonjun, and Taehyun. The group’s introduction and questioning films have gather more than 61,000,000 accumulated views. Some people call TXT the “brother group” of BTS, who is in the same agency.